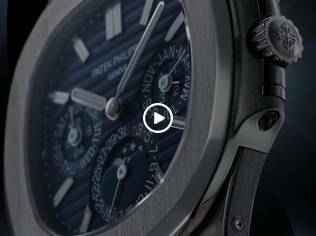 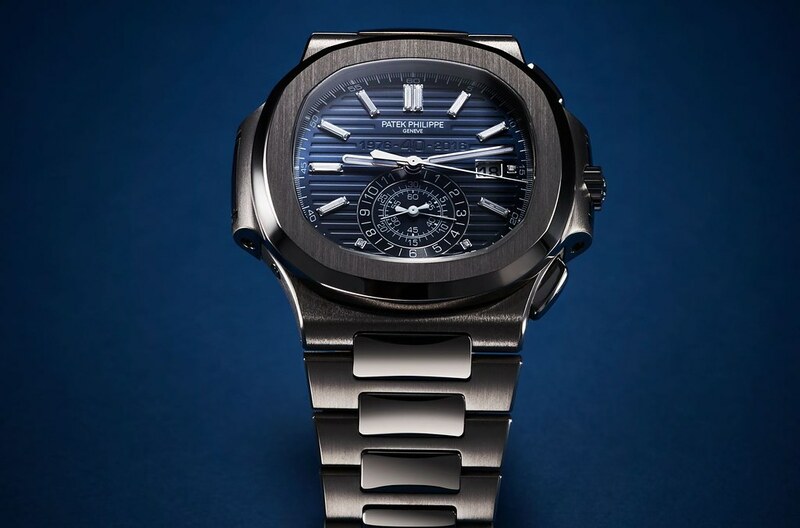 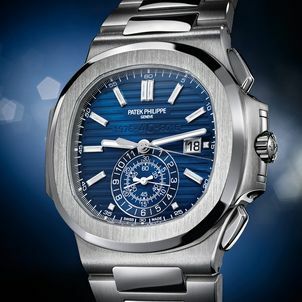 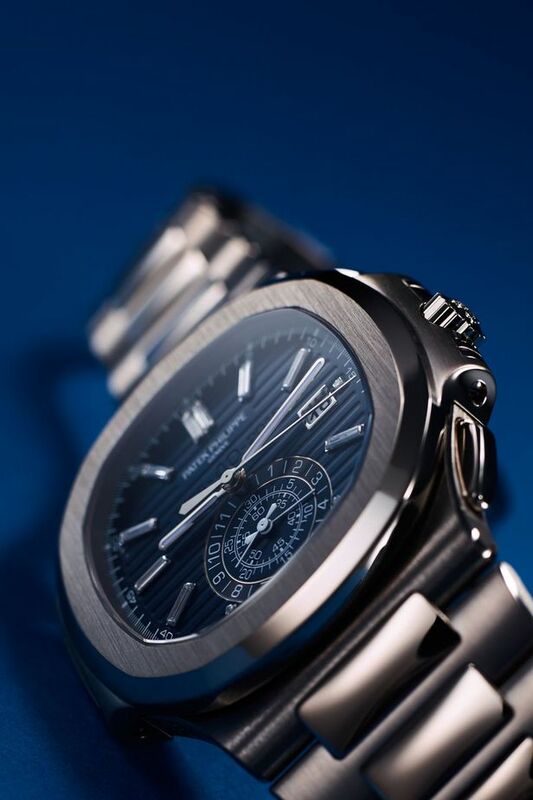 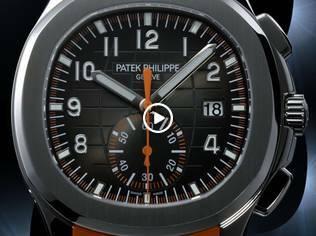 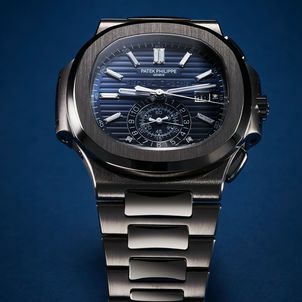 In 2016, Patek Philippe celebrates the 40th anniversary of its iconic Nautilus collection. 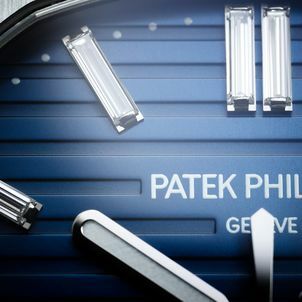 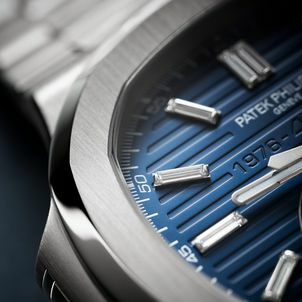 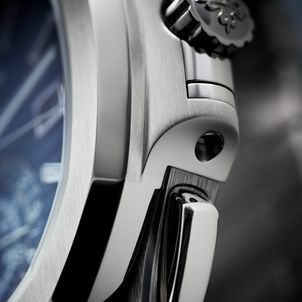 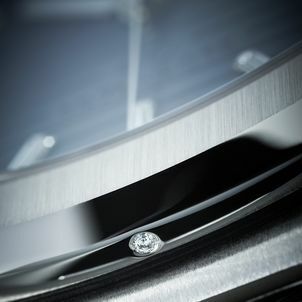 For many aficionados and connoisseurs of classic watchmaking artistry, this is a memorable occasion as well. 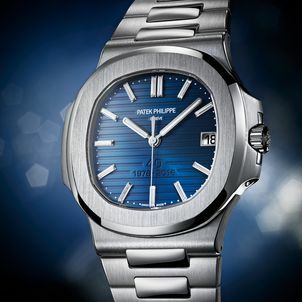 A look back to 1976 not only shows how quickly and dramatically the world has changed since then but also illustrates how well the Nautilus has stayed its course across four decades in terms of design, dependability, and popularity. 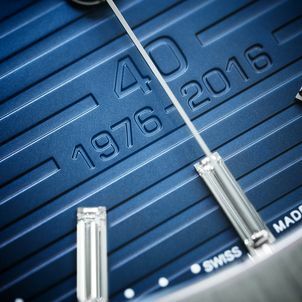 For the occasion, the Swiss manufacture has launched two limited-edition Nautilus 40th Anniversary models, the 5976/1G and the 5711/1P. 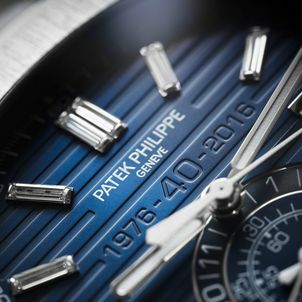 The ref: 5976/1G is encased in 18K white gold and sized at a massive 49.25mm wide, the piece features the manufacture's self-winding flyback chronograph, which first debuted 30 years ago. 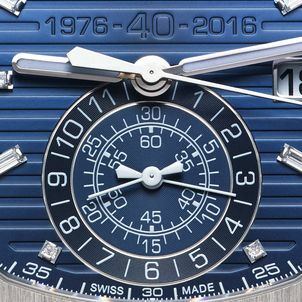 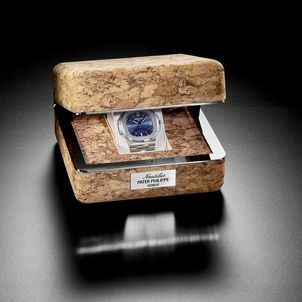 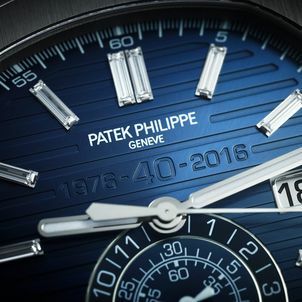 A limited edition of only 1,300 pieces, the blue dial is embossed with "1976-40-2016", and has baguette and princess cut diamond markers.